I have written about my camera gear before, but I’ve never done a proper review on my main camera and thought it was high time I did. Until two years ago, I shot on a full frame DSLR and did so for about a decade. Before that I was a film shooter, relying on my Minolta bodies. When I finally dragged myself into the 20th century, I assembled a Nikon DSLR kit, thinking that would be the end of it. After a decade of shooting for business and recreation, I realized that my small hands were getting old (just my hands, mind you 😁) and the large body of my Nikon D3s were harder and harder to manage. The thought of a point-and-shoot was one I just couldn’t get my head around; largely due to my obsession with prime lenses. What was I going to do?? Could I find a system that would balance my love of prime shooting with a body that wouldn’t wreck my hands? Could I find a system that would work on all my adventures? I won’t bore you with the details of my exhaustive search for a new camera system, I’ll just tell you it was long, arduous and involved hours of research. 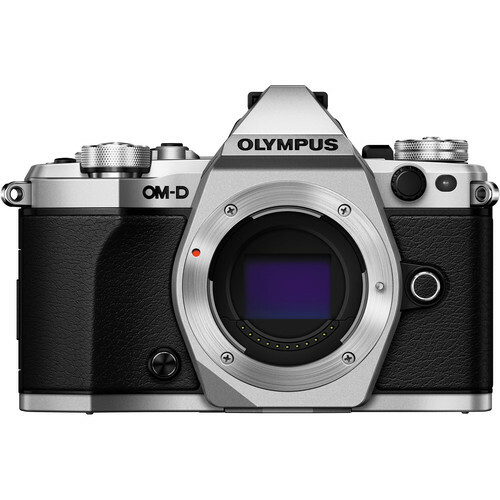 When I recovered from my research daze (and days), I arrived at only one solution…..Olympus OM-D EM5 (no longer available)! It was the answer to all my questions and served me perfectly for my lengthy trip to the Antipodes. When the time came for me to add another body, I went for the OM-D EM5 Mark II. There was no real reason for this, except I wanted the bump of functionality and features the Mark II offers. This review is all about handling and use based on my experience using this body. This means that I won’t be covering everything this camera can do, just those to which I have been exposed to in the six months I’ve been shooting with this body. If you want an honest view of how this camera performs for travel photography, keep reading! Based on my research and field use, I put the E-M5 Mark II solidly at the higher end of the Olympus series with the E-M10 at the bottom and the E-M1 at the top. This is due to the features and functions packed into an almost-tiny package. I am on the fence about the fully articulating screen, which is a huge 3 inches ( a hair over, actually). It is great, if you are a ‘chimper’ or a selfie taker, but since I am neither, I haven’t used it that much and therefore, I don’t know how repeated use will impact the tightness of the hinges. Size – About 4 3/4 long by 3 1/4 high by 2 1/2 deep (all measured at the widest point), it is damn near pocket-sized and easy to handle. This makes it perfect to pack and easy to use for street photography without being noticed. The weight is also a bonus! The weight of my Mark II body is just over one pound, weighed with no lens and the included strap (1.06lbs, to be exact). Body Style – The black and silver body has a nice retro look about it. The magnesium alloy used creates a weather sealed body that has the ability to be used in extreme conditions. Specifications state an operable range from 14°F to 105°F but I’ve used it successfully in 110°F without a decline in performance. I put the weather sealing to the test recently in a very wet environment on the open ocean and even with regular splashes and sprays of salt water, the camera came through unscathed. I usually keep my camera in a weather badge when on the water, but forgot it for that trip. 81-point autofocus – This gives me an abundance of choice when I am shooting a detailed scene and want a variety of shots with different elements highlighted. 10 Frames-Per-Second (FPS) – The ability to shoot multiple frames per second is quite good. I use this quite a bit and find it to be a decent feature as long as the subject stays on a consistent focal plane. I have found when shooting moving subjects (like horses) that are coming towards me the autofocus can’t keep pace with the shutter speed. So, remember to keep your subject moving across your frame rather than moving towards you. Color – The inherent color of images shot on the E-M5 Mark II is lovely. Right out of the box, it shoots warm images before you’ve even adjusted the color temperature. In that same vein, the white balance settings offer 13 choices, including 3 for custom setting your WB. A-MAH-Zing! Video – It took me a LOOOOOONNNNGGGG time to appreciate the video function on an SLR camera. My thought was always “If I wanted to shoot video, I’d have a video camera, damn it!” Having toyed with video on my original E-M5, I warmed up to the idea and now, with the improved video of the Mark II, I am almost embracing the use of video to augment my travel experiences. I do have some issues with a ticking sound when my Mark II is paired with my 17mm 1.8 lens, but apparently this is a lens issue rather than a camera issue. WiFi – The built-in WiFi is a pretty cool tool. With the corresponding app, you can transfer images from your camera to your phone and share from there. The set-up was easy and it is kind of fun to have another option to control the camera and be able to share images without having to download to a device. Recently, I was tromping around the forest of Vancouver and used the built-in WiFi and O.I. Share to send a photo of a unique plant with a friend in another country who was able to identify it. FL-LM3 Flash – This included accessory is such a departure from the large SB800 Speedlights I am used to with Nikon. This tiny little guy throws out a lot of light and I really appreciate the 180 swivel and 5-point vertical swing capabilities which allow me to “foof” (bounce the light) easily and in any environment that has something off which I can bounce the light (walls, ceilings, pieces of white paper, people wearing white, and so on). Electronic View Finder (EVF) – This takes some getting used to since, on the E-M5, the movement of the EVF made me nauseous as I panned the camera. This herky jerky movement has been improved in the Mark II but it still isn’t my favorite. That noted, I do appreciate seeing how my setting changes may affect the final image. You’ll notice in the third video below there is almost a stop-start motion in the panning which I think is related, but have no technical basis for that. It does seem related, though, because I pivoted fluidly as I panned from left to right. Camera Strap – The included strap screams Olympus and I don’t like wearing names/logos. I need to get a generic low-key strap, I just haven’t gotten around to it. Power Switch – The one thing that really drives me mad is that the power switch on this body is in a different spot from the original E-M5. On the original it is on the lower right side of the back side, just under the arrow pad. On this version, it is NOWHERE near that spot! It has been moved to the upper left to the interior side of the mode dial. That makes it impossible to use the camera with one hand. Not a deal killer, but definitely odd. All the features! – Okay, this is NOT a negative so much as it a gripe about my lack of time to really study the manual. I know I am only using about 1/3 of the available functionality of this body. I’ve only had it six months and I am learning more and using more each time I use it, I just wish I had to time leverage all of the features. The micro 4/3 system has really become my photography home and I am thrilled with my new kit! If you are looking for a versatile, robust, and cost-effective travel camera system, give this a whirl. I am relatively confident that you will like it as much as I do. Olympus 17mm 1.8 – This is my favorite lens for my OM-D bodies. The 4/3 equivalent of a 35mm lens, this remains on one of my bodies at all times. It is perfect for everything from landscape to portraits and I can’t say enough good things about it. Olympus 45mm 1.8 – This is billed as a portrait lens but I use it as more of an all-purpose lens. It is tack sharp and delivers a gorgeous bokeh. It’s low light capabilities are pretty impressive as to be expected with a 1.8 aperture lens. Olympus 14-150mm 4.0 to 5.6 – A great ‘walking around’ lens, this is perfect for most travel since you can get pretty wide (28mm equivalent) and pretty close (300mm equivalent). Obviously, the low light capabilities aren’t great but this lens wouldn’t be your first choice for those conditions. Olympus Body Cap Lens 15mm 8.0 – Is it a lens or a lens cap? It’s both!! A fun little toy, this lens reminds me of a lomo lens, giving a funky, homemade feel to the images. Here is my kit, as it stands today. 2 bodies, 2 flash units, 1 speedlight, 3 lenses, 1 body cap lens. Olympus 75mm 1.8 – I had a copy of this that was SUPER slow to focus with no crispness at all, so I sent it back. After some investigation, it was revealed I got a bad copy so I will eventually get another one. Olympus 75-300mm 4.8 to 6.7 II – This looks like a great option for a long range zoom lens at a good price point AND it weighs under a pound! Olympus Fisheye Body Cap Lens – Who doesn’t love a good fisheye lens for occasional use? This wouldn’t be in heavy rotation but would be fun to use from time to time. Enough text, it’s time for photos!! True to life color and good detail on a cloudy rainy day at the Sun Yat Sen Garden in Vancouver. ©M McCown All rights reserved. Sharp detail in a low light environment with just ambient light (a pendant light over the falafel counter) about 4 feet behind my right shoulder. ©M McCown All rights reserved. It was a challenging shot trying to balance the bright sky and still get details of the boats in the early morning shadow on the harbor. ©M McCown All rights reserved. A bit of bright sun in the early afternoon, this shot was taken at the top of the Vancouver Lookout and is still rather sharp despite distortion of the window glass. ©M McCown All rights reserved. High noon and the camera provides sharp detail of the tiles on the Chinatown gate and bricks of the building, even if the shot is ever so slightly overexposed. ©M McCown All rights reserved. Of the videos below, the first was shot on the E-M5 while the other two were shot on the E-M5 Mark II. Both locations (Kangaroo Island, Australia and Howe Sound, Vancouver, Canada) were really windy and you can clearly tell the difference in sound from one camera to another. All three videos were shot using the Olympus 14-150mm telephoto lens. In the video below, be sure to listen for the little trill of the seal pup. It is adorable and was a rare treat to witness! I spent a long time photographing and recording the seals on the beach that day and this video takes me right back to frozen fingers and pink cheeks! The adolescent humpback whale in the video below was really active and our boat followed him for a few hours. He never breached, but it his mild lobtailing elicited a lot enthusiasm from my fellow boatmates. The video below hardly does justice to the pristine views of Howe Sound. After days of soupy fog and rain, the crisp, cool, windy weather was perfect for an afternoon on the water. There you have it, my review of the Olympus OM-D E-M5 Mark II! What do you think? Could you make the switch to a 4/3 system? Do you think this gear set-up would work for your travels? Let me know in the comments!